CDA (Capital Development Authority) failed to complete development work in sectors D-13, D-12 and E-12. Two officials, a director general (DG) and another member of the board appeared in court in response to a petition, regarding the sector’s development work. 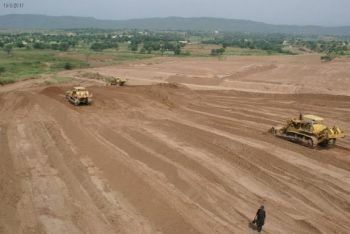 The officials conveyed to the Islamabad High Court that the layout plan of the D-13 sector was complete. However, one CDA insider disclosed that the statement is incorrect. According to him, there is no layout plan of D-13 sector currently available in any department of the authority. The Islamabad High Court has directed Chairman CDA and a few other board members to appear in court to clear CDA’s position. CDA conveyed to the court back in September 2012 that the layout plan of the sector D-13 will be completed within three months. However, the development work has even not begun in this sector. CDA is on running low on funds and does not have any alternative business plan, as per a CDA official. CDA has also not initiated development work on sector E-12. The E-12 sector was launched in the 1970s but till now, the authority does not possess the land in the sector. It is because CDA has not been able to sort out the matter with the original land owners to-date. According to CDA official, the authority is used to making such commitments to the court but never bothered to address such issues.